If you are looking for the best treats for dogs with sensitive skin, in this article you’ll find everything you need to know, especially if you have little or no time available. 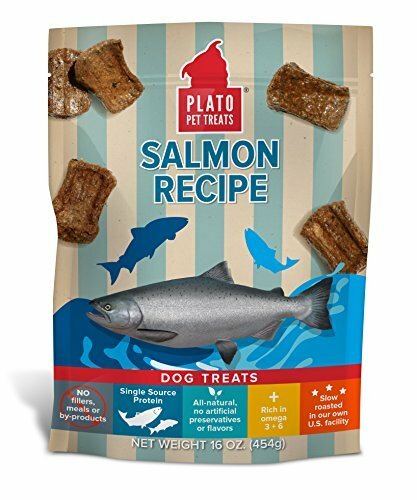 After carefully examining the value and quality offered by some of the highest-rated products in this line, Dr. Fox concluded that PLATO’s Natural Salmon treat is the one you should consider, as it’s made of 90% pure meat and it helps digestion. Moreover, the manufacturer uses local supplies of natural and organic ingredients for the fabrication process. 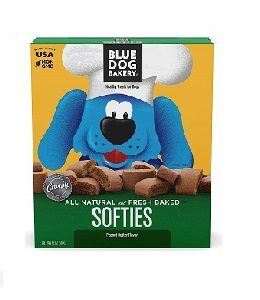 In case PLATO’s Natural Salmon treat is not available, Blue Dog Bakery’s Natural Treat is the next best option you should keep in mind. Free of sugars, artificial preservatives, by-products, artificial colors, protein-meals, and soy, this product is a choice you might want to take into account when looking for a healthy treat for dogs with sensitive skin. The quality ingredients used ensure a healthy digestion as well as a good-looking skin and coat. The formula also contains proteins, which are essential for a healthy development. The kibbles might be too big and difficult to break apart for some dogs. Including salmon, brown rice, salt, rosemary extract, and vitamin E, this product makes a tasty and healthy treat. Ideal for dogs with sensitive skin and palate, these treats should also be added to your list of options. The soft kibbles are not only easy to chew but also easy to digest. They contain premium ingredients and no artificial colors, flavors, or preservatives. The product is made with real eggs and non-fat milk, which will further help your furry friend enjoy and digest them with ease. They are also tasty. A few customers say the treats were not that soft and were dry upon arrival. Whether you’re looking for a healthy snack or for a tasty treat for your dog’s training sessions, this product is worth considering. Formulated with naturally enriching ingredients, this is another quality product that is recommended for dogs with sensitive skin. It is rich in antioxidants, vitamins, minerals, and proteins, key nutrients that will boost and support your pet’s health. The product contains real meat and natural preservatives. The food also contains Omega-3 fatty acids that will keep the pet skin nourished. The kibbles were not as soft as expected, according to one pet owner. You might want to consider this product if you’re on the lookout for a nutritious and tasty treat for your furry friend. Given that there are so many alternatives available on the market when it comes to finding the best dog treats for sensitive skin, we decided to make a selection of the top-rated products, in order to help you find the perfect one for your beloved dog. If you are looking for good dog treats for sensitive skin, you might not be sure which option to go for. 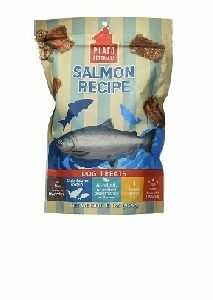 If that’s the case, have a look at Plato’s Natural Salmon treat, as it contains no added sugars, artificial preservatives, by-products, artificial colors, protein-meals or soy. Plato’s treats are 90% pure meat made with organic ingredients, meaning they help digestion and ensure a healthy coat and skin. The manufacturer uses the local supply of natural ingredients that include meat, fruits, and vegetables, to provide a healthy alternative to the processed and artificially flavored products available for sale. These protein filled treats are slow roasted and specially formulated for dogs that suffer from skin issues, allergies or food sensitivities. Given the premium ingredients used, they work very well for training as well, since our furry friends love the taste and cannot resist the temptation. The mix used include, among others, salmon, brown rice, salt, rosemary extract, and vitamin E supplements. You might find yourself going through reviews of dog treats for sensitive skin, but what do you do if your dog also has a sensitive palate and cannot chew onto something hard? The answer might lay in these Blue Dog Bakery Natural Treats. 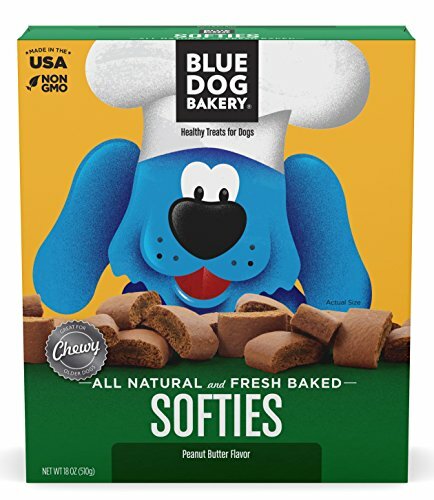 Perfect for older dogs, small ones, or those that have a chewing sensitivity, Blue Dog Bakery’s Natural Treats are baked soft which also makes them easy to digest. The manufacturer uses only premium, all-natural ingredients, and no artificial colors, flavors or preservatives. This makes these treats safe, nutritious and, of course, irresistible. Moreover, they are also made with real eggs and non-fat milk which means that even if your dog has some digestion issues, he or she will still be able to enjoy them. The manufacturer’s famous peanut butter recipe comes on top of everything mentioned above, for a treat that is so yummy you will be able to use it for training as well. 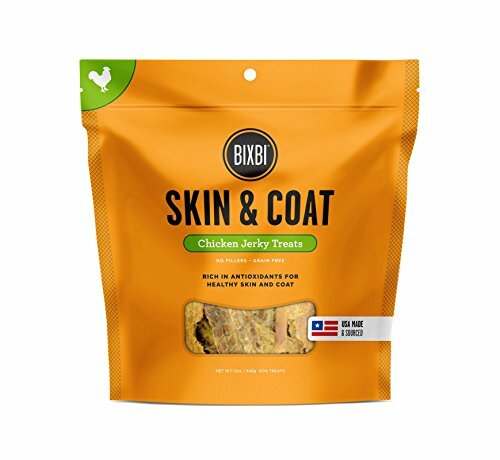 BIXBI’s Skin and Coat Jerky Treats are made with naturally enriching ingredients that support a shiny and healthy skin and coat. Given the used mix, these treats are packed with antioxidants, vitamins, and minerals, everything in a protein-rich formula specially created for great results. The manufacturer doesn’t include fillers such as rice, potatoes, wheat, soy or corn in these delicious bites, but instead uses real meat with supplements and a natural preservative. The result is that, even if your dog is dealing with a sensitive stomach, he or she will be able to enjoy these as well. The nutritious benefits come from the flax, chia and pumpkin seeds used. Chia and flax seeds are rich in Omega-3 fatty acids and lignans, while the pumpkin is a natural source of vitamin E. All of these mean that your pet’s skin and coat will be nourished and healthy. So if you are looking for a healthy and yummy alternative for your dog, give them a try. 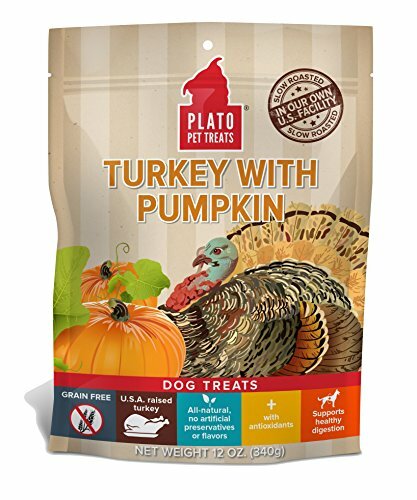 PLATO’s Turkey with Pumpkin product is another very good alternative for a healthy and delicious treat. These snacks have no added sugars, artificial preservatives, by-products, soy, wheat, artificial colors, or other fillers, meaning they are safe and tasty. Made of 90% pure meat, they include ingredients purchased straight from the source. Given the high protein levels contained, they are also beneficial for the skin and coat. In case your dog also deals with a sensitive stomach or other digestive issues, then it’s a good thing that these treats are grain and gluten-free, which makes them suitable for this situation as well. Your beloved friend will be able to enjoy their delicious taste without any trouble. As only premium ingredients are used, these are called treats for a reason – they taste delicious and they work very well if you want to train your dog as well, as he or she will find it very hard to resist their flavor. Zuke’s Chicken & Chickpea snacks are an excellent choice if you are looking for a treat that gives you all the healthy ingredients that you want and none of those that you don’t want. 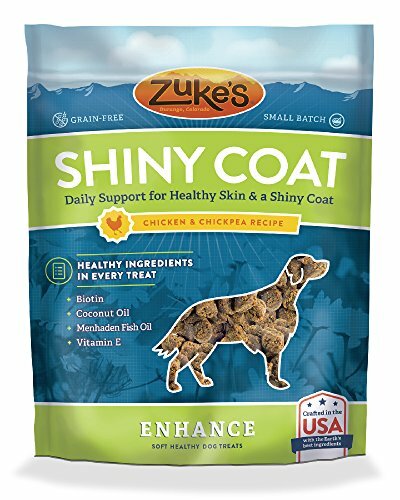 This is because these Shiny Coat treats are free from fillers, by-products, and artificial colors or flavors. You might wonder what they do contain, and the answer to this question is high-quality ingredients. Therefore, you can rest assured that your dog will enjoy only what’s good. Their formula maintains a great nutritious balance as it includes natural herbs, oils, vitamin E, and biotin. They are botanically-based and crafted with nature-inspired ingredients which means they provide daily support for your dog to have a healthy skin and shiny coat. 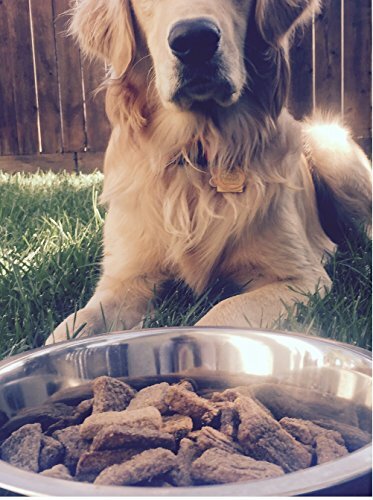 The grain-free recipe is perfect for dogs with sensitivities. Moreover, they are produced in small batches in order to permanently ensure quality and freshness. They are also conveniently packed in resealable pouches which maintain all the properties until you finish them. 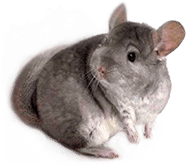 The same as when you are not sure what to look for in a pet boarding facility or which option is better for your dog when it comes to pet sitters vs kennels, here as well it’s important to take some things into consideration before choosing that perfect treat for your dog, especially if he or she is dealing with an increased skin sensitivity. Therefore, let’s take a look at what the main aspects are and how each one of them brings a benefit or plays a role in your dog’s overall health and good mood. If your dog is dealing with sensitive skin or other related conditions, these can be very unpleasant, as they can cause irritations and itchiness, keeping him or her from fully enjoying fun activities. As we very well know, health is built from the inside in this case as well. For this reason, switching to an organic diet can definitely be a good idea and this includes treats as well. Giving your dog nutritious and healthy snacks that are rich in oils and vitamins can improve the overall condition, and can also maintain a good balance for the skin and coat. It’s important to choose alternatives that are free of chemical preservatives and ingredients such as artificial colors or flavors. In order to make sure that the product you are going to purchase follows these guidelines, carefully read the back label which should list all of the ingredients. Going for treats that are free of chemicals will definitely help, but digestion also plays an important part in keeping your pup healthy and happy. In order to achieve this, you should choose those treats that contain high-quality protein sources, such as fish or meat based ones. Some of the products you can find on the market have many fillers such as soy or wheat that, while normally should not be a problem, for dogs who deal with digestive issues might be more difficult to tolerate. If you notice signs such as vomiting, you should talk to your dog’s vet and see what the right solutions are. As we well know, the immune system is especially important and organic foods help boost it and maintain its health, as they are more nutritious than other types of treats. Therefore, you can definitely go for cleaner alternatives. It’s even better to make this choice if your dog eats them daily. 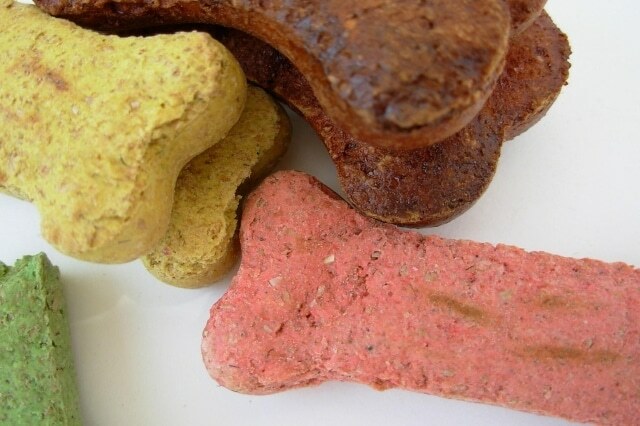 Given that natural treats are more digestible, your dog will benefit more of the included nutrients. In the long run, this approach combined with an overall healthy diet, will keep your dog healthy and happy, and might even save you from some future visits to the veterinarian. If you’ve enjoyed this article, and are also a cat owner, you can check out the other pieces dedicated to the feline category, as you can find cool tips and useful information on many topics ranging from how to choose the right dry cat food or some fun cat toys, to what the great cat water fountains are available today.